Christmas is a time for celebrations… at home, at work, and with friends. The Christmas Cart has loads of ideas to make your next Christmas event a cracker! Whether you are organising your annual staff Christmas Party at work, your social club Christmas party, a Christmas lunch or dinner at a restaurant or function centre, or even a charity fundraiser: The Christmas Cart has the solution to your decorating and gift needs! 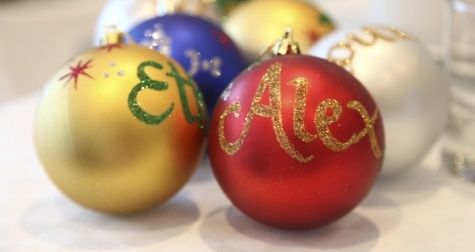 Don't forget The Christmas Cart has many unique Christmas decorations and gift ideas to help you decorate your home, so have a look at our range of personalised Christmas gifts. To purchase any of our products, visit our online shop or visit us at one of our many stores around Sydney as it gets closer to Christmas time.